Join The Cradle, you must! Don't ride (Han) solo! 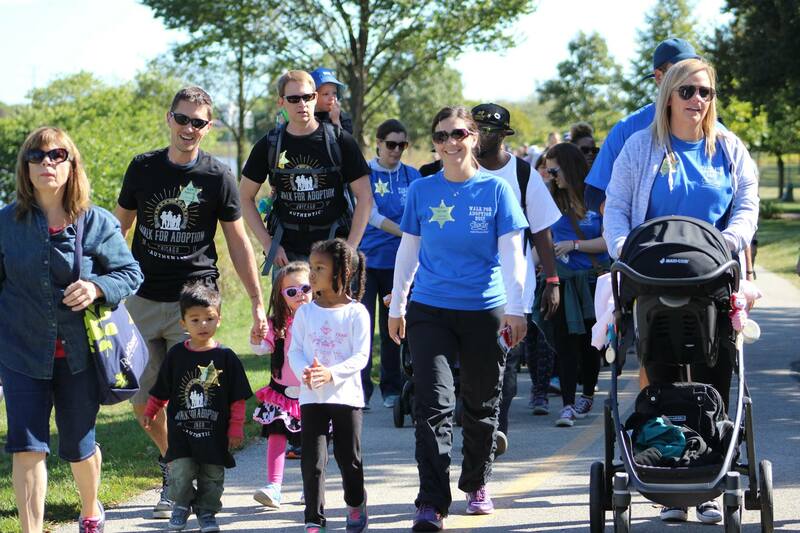 Team up with CLAS for this year's CAFFA-sponsored Walk for Adoption Chicago! Register for our team and spend time with other Cradle families and counselors while supporting adoption. A long time ago (8 years) in a suburb (kind of) far away... the Walk for Adoption Chicago first began. Its purpose is to celebrate adoption and foster care and to share with the community the beautiful option that adoption can be for families. In conjunction with the walk, there will also be many kid-friendly activities, including carnival games, a bounce house and a DJ. Lunch is provided with your registration. It's an opportunity to build a community with post-adoption families from The Cradle and beyond. With activities, music and a picnic, you can connect with families who have kids of similar ages with similar backgrounds. You can freely show off your love of Star Wars! Being active with other Cradle families is a great new way to stay involved with The Cradle. You can rep The Cradle at the Walk and any time after with a Cradle Crew: Episode III t-shirt. Switch up your weekend and spend time with your family outdoors in a different setting: the beautiful Lake Arlington. Learn even more about The Cradle by connecting with Cradle staff! Dance the afternoon away with a DJ while your children enjoy the bounce house and carnival games. Learn more about the passionate people helping to support adoption in our area. The walk's sponsor, CAFFA, is one of the largest adoption support groups in the Midwest. It's sure to be easier than space travel! Adopted Person Adoption in the Media Adoptive Parent Coaching African American Adoption Birth Parent Identity Openness Search and Reunion Special Needs Talking About Adoption What's New at The Cradle?